If you’re looking for a full service DJ to provide music and entertainment for your wedding or other event, Moore Music is your local expert. We can provide music and entertainment for any event, and we’ve been proudly serving customers in Chester County, PA for more than a decade. At Moore Music, we specialize in providing encompassing DJ services which include excellent music for weddings, birthdays, anniversaries or any occasion. When you’re in need of a professional, exciting and fun DJ in Chester County, PA, we’re your number one source. We offer DJ, or disc jockey, services as well as live music for the entertainment at your special event. We have the ability to play a wide variety of music, ranging from 1930s to more modern songs. Whatever your vision may be, we’re here to work with you to ensure that your event goes off without a hitch. We use high quality brands to do our work including Yamaha, Peavey, American DJ, Newmark, QSC and more. We DJ events in Chester County, and the surrounding areas. Please call us to see how we can help make your special event that much more memorable. We are proud winners of the Couples Choice Award for 2019 and have won the award for the last 11 years running on Wedding Wire. We are members of the Disc Jockey Association. We are members of Women In Motion, the Women’s Business Connection. We are a member of the Exton Chamber of Commerce. We are a member of the Western Chester County Chamber of Commerce. "This afternoon we had Moore Music at our community for a 50’s dance. We had Mark and Walter as Dj, singer and dancer. Our family (resident..."
"Moore Music DJ’d my daughter’s sweet 16th birthday. They were amazing. The owner was so kind and helpful. 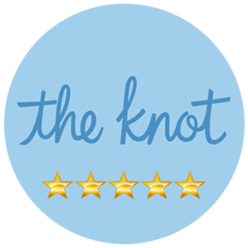 The DJ played the music my ..."
August 6, 2018 Kendra W.
"Moore Music was the perfect choice for our wedding. Pam was with us through every step of the way, from the initial meetings, through multi..."
"What a great experience! Great communication, great price and loads of fun!" We won the 2015 Best of Downington award in the Music Entertainment category! Read Our Press Release! Call or email today for details on how to receive 30% off of our Professional DJ Services for any wedding, party, or event! Open 9:00 a.m. - 9:00 p.m.